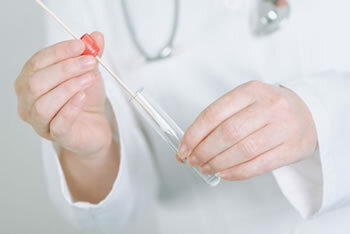 An oral drug test (saliva drug testing) is used for only one scenario: to determine if you have recently used drugs. Particularly tetrahydrocannabinol (THC), also known as marijuana, but other drugs are often tested for as well. Now, marijuana has become legal in a few states already, and probably in more states in the coming years, but many employers still do drug testing for it. This makes sense because smoking marijuana while at work is akin to drinking alcohol while at work. Furthermore, other drugs are often tested via a mouth swab drug test as well. Some of these include cocaine, ecstasy, and nicotine. Nicotine is mostly tested for as a requirement for government jobs that provide health insurance, union specific job, or as a requirement for purchasing a life insurance. Now, the first step of passing a mouth swab drug is to first understand the test works. Once you understand the test, you will easily understand how to pass it. You will also understand some of the techniques that people may use to try and pass the test that simply do not work. Keep in mind, despite what people might say; there are perfectly legitimate ways to pass a mouth swab drug test. A mouth swab oral drug test is just a drug test that relies on saliva collected from your mouth. Employers are particularly fond of this test as it can easily be done and the results are quick. There is no need to send them to a laboratory for testing or even a particularly long testing process. Testing the saliva is different than blood or hair, which both require a long and complicated testing process and then must be processed at a laboratory. In the case of marijuana, an oral swab test can only detect marijuana that has recently been in your system for up to one week. For example, if you smoked marijuana two days prior, then it might appear in the mouth swab test or it might not. Some people get unlucky with the mouth swab test, and marijuana does end up appearing in their saliva; this is especially true if you have not eaten much food or consumed enough water. However, a mouth swab test looks for more than just marijuana. Basically, every drug other than marijuana will stay in your saliva for a long period of time and cannot be removed by most methods. This makes it particularly important to understand the testing procedure and what causes a positive result for a mouth swab drug test. What Causes a Positive Mouth Swab Drug Test Result? A positive mouth swab drug test is caused when the detectable levels of a drug the test is looking for is triggered, and this causes the drug test to turn a certain color. In the case of marijuana, this amount is a relatively small amount and is generally only triggered by marijuana consumed within 48 hours or so. However, it might detect marijuana smoked up to one week ago. Now, for other drugs, it works a little differently. These drugs can appear in your system up to two weeks after they have consumed. It all just depends on the quality of the drugs and the speed of your metabolism. Fortunately, it’s relatively easy to pass a mouth swab drug test in the case of marijuana. Most of the time, if you should pass if you have not used marijuana in the past 48 hours. However, as mentioned earlier, these tests can sometimes detect marijuana use up to a week prior and this naturally will lead to some problems if you have a marijuana test in the coming week. If you think you might test positive for other drugs, then the test can show drugs consumed within the past two weeks; this makes it essential to know how to pass the test. The absolute best method for passing an oral mouth swab test is not to have used any drugs within the past two weeks. Of course, mistakes happen, and there are ways to fix these mistakes. Fortunately, these fixes are relatively simple systems that will allow you to pass the test. You have three options for passing a saliva swab drug test. The three options are the systems offered by Synergy Detox. The first system is their 4 Day PDS Body Detoxification System, which works great for light drug users (one or two times per week) that also weigh under 195 pounds. This program combines diet, natural supplements, and an exercise regimen that permanently removes the toxins found in your saliva. By permanent we mean since your last use, if you use again, then you will have to repeat the system. The other methods are the 7 Day PDS Body Detoxification System and the 11 Day PDS Body Detoxification System, which both operate on a similar plan. However, these plans will last longer and are more intense to help remove toxins from heavy drug users or those that weigh over 195 pounds. As a bonus, Synergy Detox has one other system to help you pass a mouth swab drug test. This system is the Nicotine Eraser 4 Day PDS Body Detoxification System. As the name suggests, this system will specifically remove nicotine toxins from your saliva, and this can help you pass a test for nicotine. It works similarly to the other drug tests listed, but it has some extra nutritional supplements and a modified diet plan specific to removing nicotine. The fastest plan for light drug users that weigh under 195 pounds is the 4 Day PDS Body Detoxification System. Other plans for heavier drug users or those that weigh over 195 pounds are the 7 Day PDS Body Detoxification System and the 11 Day PDS Body Detoxification System. This system has the added benefit of eliminating toxins in your blood and saliva as well. This is especially useful if you are unaware of what type of drug test you will take or if you must take multiple different types of tests. All in all, a mouth swab drug test works great for detecting drugs in people that do not take proper precautions to prevent detection. However, with the proper precautions, you can easily pass a mouth swab drug test. Fortunately, the proper precautions are easy to use and readily available through Synergy Detox. The process does require some work but just think; this work is much better than the possible negative consequences that come from failing a drug test.